Although they represent no more than a bleep on the radar of rock & roll history, Cheshire, England's Aragorn -- named after the character in the Lord of the Rings and featuring singer Chris Dunne, guitarist John Hull, bassist Dale Lee, and drummer Mike Ellis -- were responsible for one of the very best one-off singles to emerge from the New Wave of British Heavy Metal. Said single was 1981's legendary "Black Ice," which boasted a crunchy, rip-roaring vitality that was raw as sushi and heavy as hell -- in other words, the very embodiment of the N.W.O.B.H.M. 's D.I.Y. philosophy. 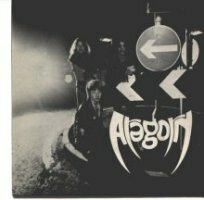 Together since 1978, Aragorn was one of the earliest signings of the then-fledgling Neat Records, and also contributed a second track (namely, a single B-side, "Noonday") to the label's Lead Weight compilation later that year. They then proceeded to revamp their turbulent lineup, first with bassist Chris White and second guitarist Andy Halliwell, and later with yet another bassist in Nigel Stollof. Studio sessions for an actual album took place in 1982, but despite repeated attempts to place these recordings with prospective labels (including Neat, of course), neither a long-term record deal nor a full-length album ever materialized. It wasn't long before the disheartened members of Aragorn scattered to the four winds (Ellis going on to work with A II Z), but, incredibly, their story didn't end as expected. 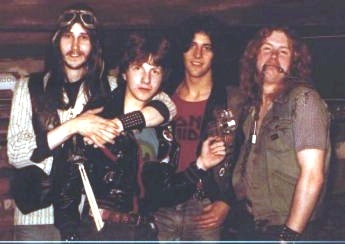 Over the years, their first single "Black Ice" continued to grow in cult stature, and when Sanctuary Records annexed Neat's catalog in the late 1990s, Aragorn's never-before-released efforts were rescued from a last remaining cassette tape, remastered, and compiled into 2003's Noonday anthology.